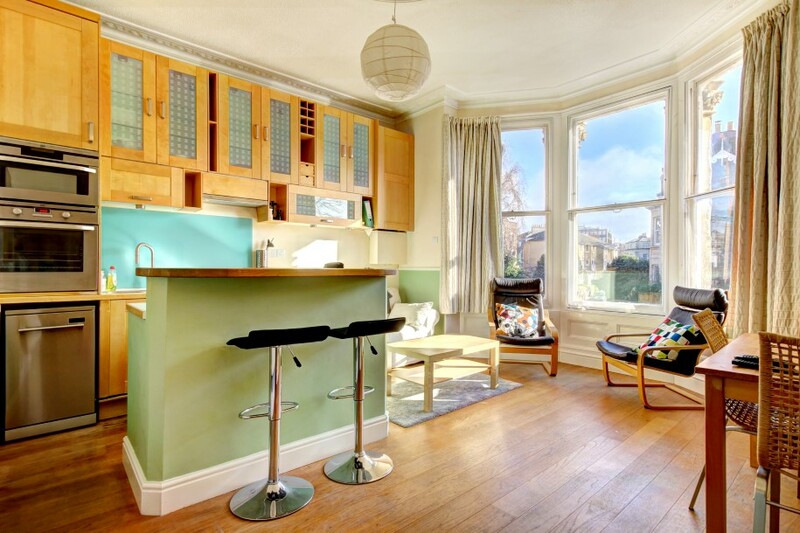 A light and airy 2 double bedroom hall floor apartment with wonderful bay fronted kitchen/breakfast/sitting room located within 300 metres of Clifton Village and the green open spaces of Victoria Square and Christchurch Green. 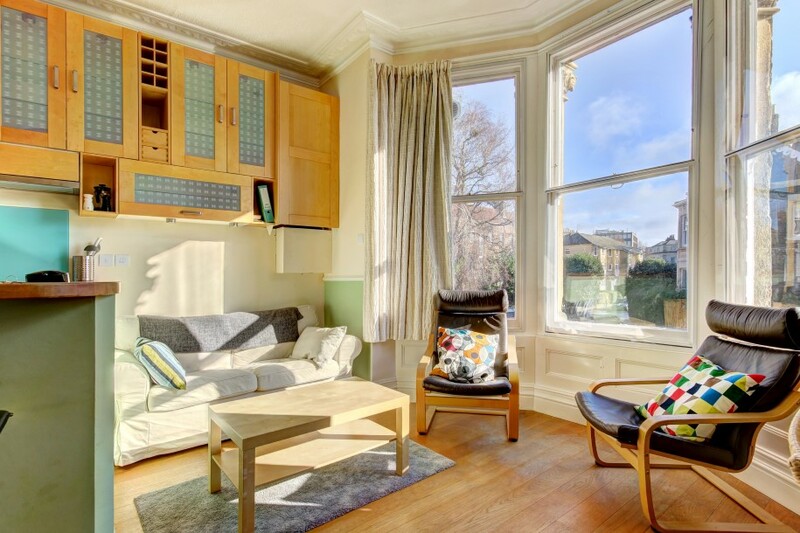 The apartment enjoys well balanced accommodation with the benefit of high ceilings, including a wonderful bay fronted sitting room and gas central heating. 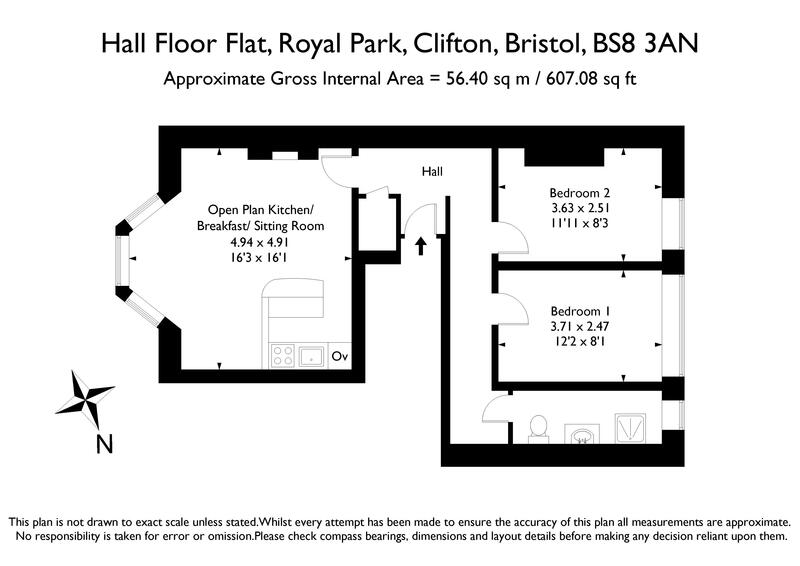 Accommodation: entrance hall, open plan kitchen/breakfast/sitting room, bedroom 1, bedroom 2 and shower room/wc. 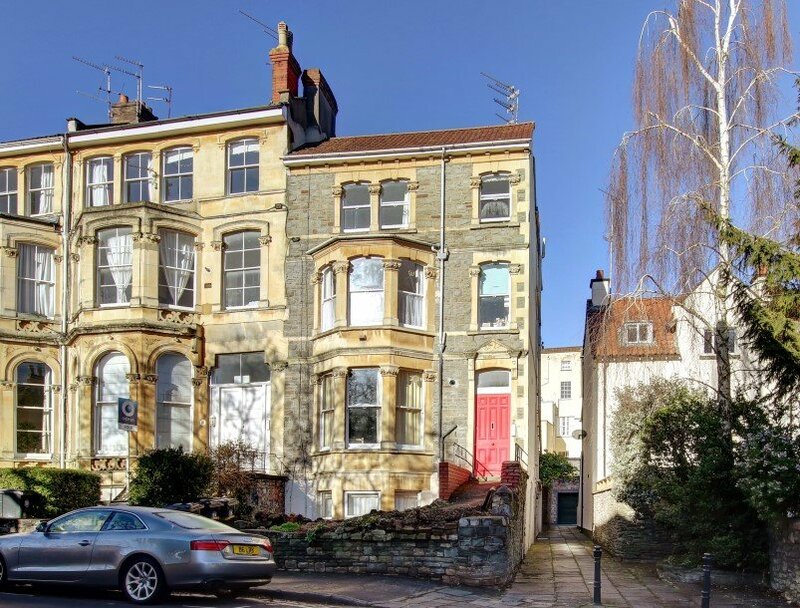 An intriguing 2 double bedroom apartment central to Clifton Village in a highly favoured location literally on the doorstep of Christchurch Primary School. pathway and steps lead to the front main entrance door, communal hallway with moulded cornicing, window to side elevation. The entrance door to the flat can be found on this level to the right hand side of the stairs. via hardwood front door, 2 ceiling light points, door entry intercom system, useful understairs storage cupboard with plumbing for washing machine and radiator, tall moulded skirting boards. Doors leading to kitchen/breakfast/sitting room, bedroom 1, bedroom 2 and shower room/wc. measured as one but described separately as follows. fitted with a range of matching wall and base units with laminate worktop over, inset stainless steel sink with swan neck mixer tap over, Zanussi four ring gas hob with extractor fan over, integrated electric oven and microwave oven, space for slimline dishwasher and space for under counter fridge and freezer. Concealed wall mounted combi boiler. 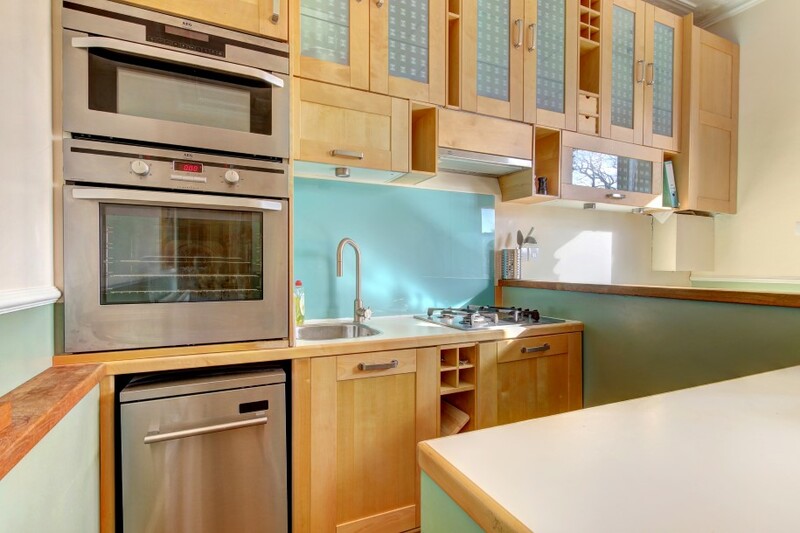 Vast array of high level wall mounted kitchen units providing ample storage. Solid oak breakfast bar area. wonderful bay fronted outlook with 3 large period sash windows with secondary glazing, large ceiling rose with ceiling light point, detailed ceiling cornicing, dado rail, double radiator, useful shelving built into chimney breast with tv and Virgin Media point, oak wooden flooring throughout, tall moulded skirting boards. 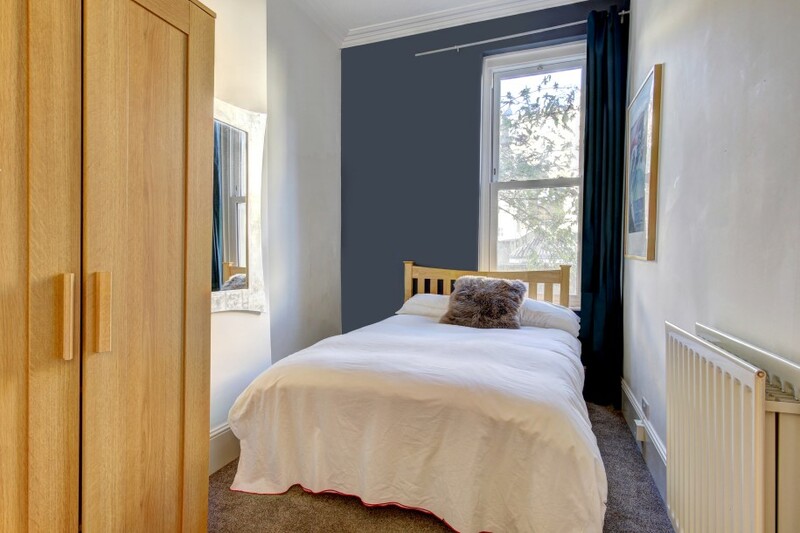 double glazed sash window overlooking rear elevation, ceiling light point, ceiling cornicing, picture rail, radiator, tall moulded skirting boards. 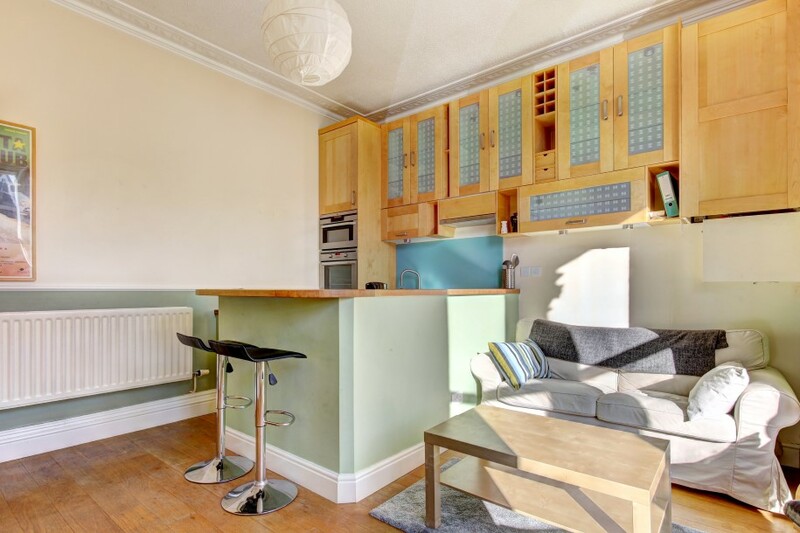 double glazed window overlooking rear elevation, ceiling light point, ceiling cornicing, telephone point, radiator, tall moulted skirting boards. 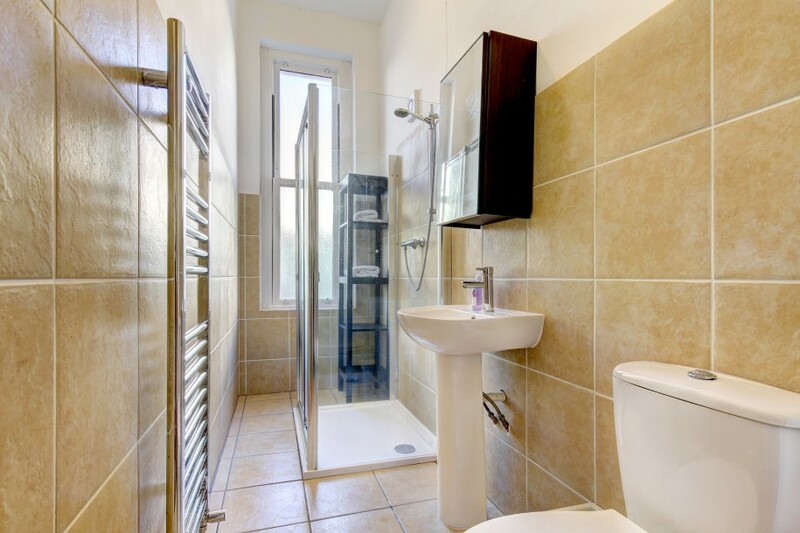 a modern white bathroom suite comprising low level wc, pedestal wash hand basin, large shower cubicle with glass shower screen, obscure sash window to rear elevation, ceiling light point, extractor fan, tiled surrounds, tiled flooring, chrome towel radiator. it is understood that the property is leasehold for the remainder of a 999 year lease which commenced on 29 September 1979. 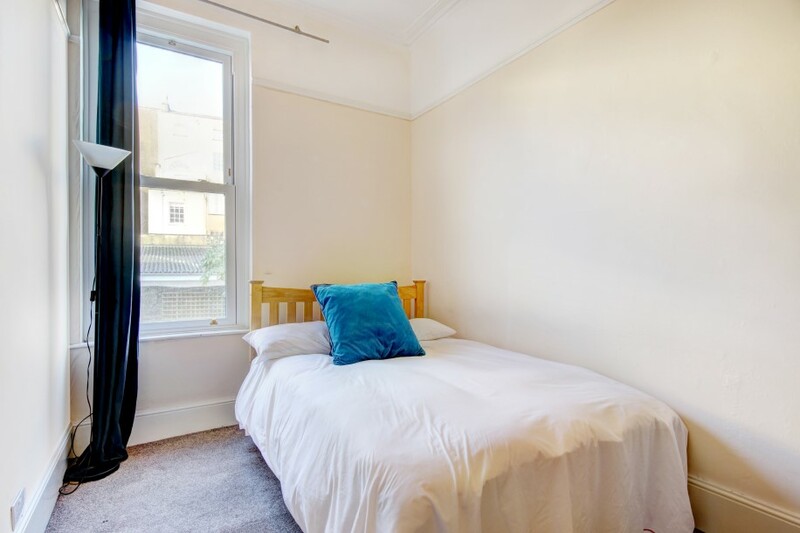 There is also an annual rent charge of £25 p.a. This information should be checked by your legal adviser. it is understood that at the time of writing these particulars the monthly service charge is £80. This information should be checked by your legal adviser.